You probably already know you can’t rule out an older worker for his age — or ask a female applicant her plans for having a family – but are you aware of the many other potential pitfalls when hiring employees? 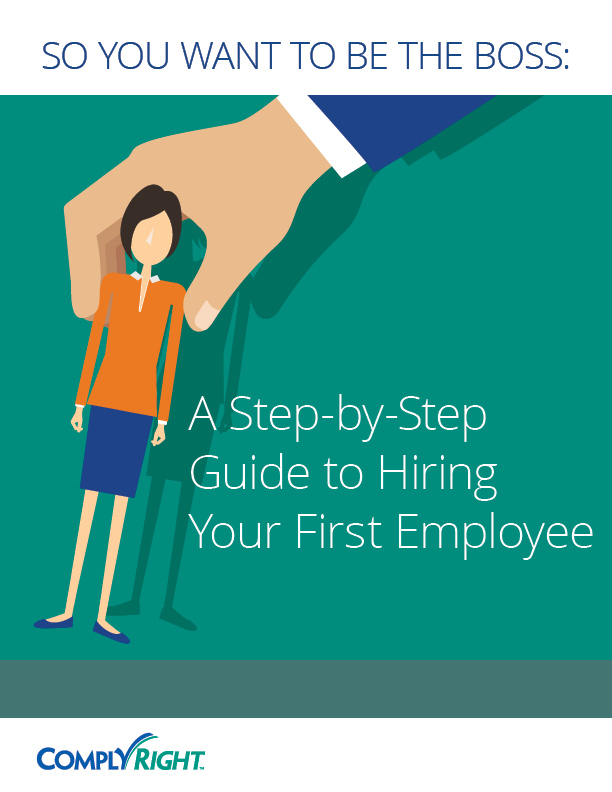 Are you confident your hiring process treats every job seeker equally and fairly based on federal and state laws? If not, you could be guilty of accidental discrimination. Yes … accidental discrimination. While most employers would never discriminate purposely, the legal risks of doing so inadvertently are the same. Whether it’s placed in local newspapers, on your website or in an online ad, your job ad is an important hiring tool. If worded improperly, however, it can invite a host of legal problems. Job ads should never suggest a predisposition to hire a certain group or exclude a certain group of applicants based on characteristics such as age, national origin or gender. For example, using the term “recent college grad” might imply you’re seeking candidates within a certain age group and could be used as evidence of age discrimination. If the intent is to recruit college-educated applicants (which is perfectly legal), then the ad should state, “college degree required.” It is also acceptable to say the position is “entry level” in order to convey the level of responsibility or manage expectations regarding the pay range. Along the same lines, using gender-specific terms to describe a job position (“waitress” or “stockboy,” for example) also can imply illegal bias, so be careful. An application should never include questions that reveal an applicant’s gender, age, race, religion, national origin, disability or marital status. Applications help you gather essential information that is often left out or obscured in a resume. They can, for example, bring light to employment gaps or skill gaps. Applications ensure consistency. They make it easy to collect the same information, asked the same way, from all applicants, which can help protect against discrimination claims. Applications can be used to convey essential legal notices. This includes important EEOC-approved language regarding the ability to perform the job, and a non-harassment clause. While your job application should include probing questions about the applicant’s background and qualifications, the questions must be drafted in a way to protect the applicant’s privacy and employment rights. An application should never include questions that reveal an applicant’s gender, age, race, religion, national origin, disability or marital status. You’ve done your recruiting and gotten bites from numerous candidates. Now it’s on to interviews. Simple, right? Yet many employers are not aware that seemingly innocent small talk during interviews can land you in hot water. To be safe, avoid any discussion of the topics to follow. And certainly, exercise common sense: If a question doesn’t directly relate to the job, don’t ask it. Pre-employment questions must relate to whether an applicant is suitable or qualified for a job. Avoid talking about personal issues, and keep the interview focused on job-related topics. Age — It’s okay to ask whether an applicant is over 18. Do not, however, directly ask for the applicant’s age or date of birth during the screening process. Disabilities — You can ask only whether the applicant is able to perform the essential functions of the job, with or without reasonable accommodation. Never ask whether an applicant has physical or mental disabilities, and avoid discussing general medical conditions. Even an empathetic comment about a limp, for example, could be misconstrued as having discriminatory intent. Education — You can discuss the applicant’s academic, vocational or professional education. You should not ask when the applicant attended or graduated from school (which gives an indication of age) or whether the school has any religious, cultural or racial affiliations. Marital status and pregnancy — Avoid this topic altogether. Don’t discuss whether an applicant is single, married, divorced, widowed or separated. Don’t ask whether the applicant prefers Mrs., Miss or Ms. And of course, never ask, “Do you intend to have children?” or express concern about child care arrangements (for example, when interviewing for a position that requires travel or working a night shift). National origin or ancestry — It’s okay to ask an applicant what languages he or she speaks or writes, but nothing more. For example, if an applicant says he speaks Spanish fluently, do not ask whether Spanish is his first language. Even an innocent comment such as, “I love your accent. Where are you from?” could appear discriminatory. Race, color, physical traits — Never ask questions about or comment on these topics. Religion — Don’t pose any questions that would reveal religious customs, holidays observed or whether someone attends religious services. With very rare exceptions, an applicant’s religion is irrelevant to job qualifications. You must walk a very fine line when you’re interviewing candidates. Be careful with your note-taking, too. Don’t write on the application or resume, as these are official employment records, and it is best to leave them exactly as provided by the applicant. Administered correctly, these tests can be a big help. Handled incorrectly, they can open the door to – you guessed it — discrimination. 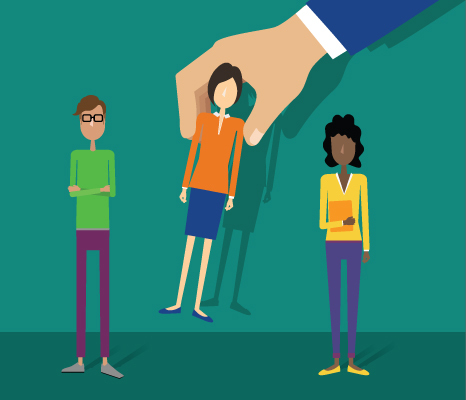 Learn five ways to prevent discrimination with pre-employment testing. You can ask about criminal convictions, and even pull a criminal history report, as long as you do it later in the hiring process. In fact, background checks can be an important part of your hiring decision, helping you to more carefully evaluate candidates and identify potential red flags. Before you pursue a criminal history report – or any other background check, for that matter, like a credit report or driving record — you’ll need to inform the applicant that it’s required for employment and get consent. Getting permission in writing can protect you from claims that you violated applicant privacy. The consent form should state that a previous conviction does not automatically dismiss the applicant, but that anyone who tries to withhold information or falsify a previous criminal record will be disqualified. 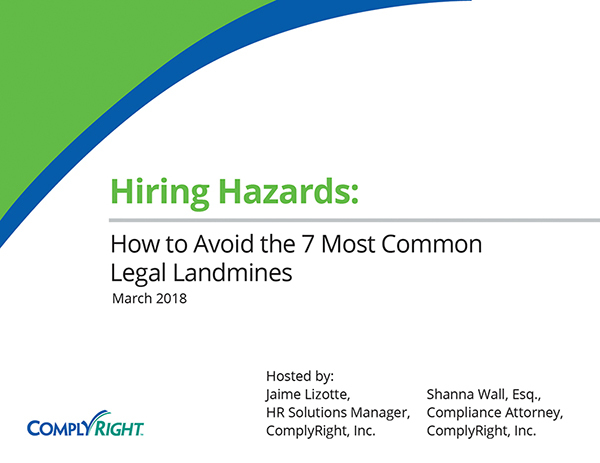 Hiring involves a lot of steps and can introduce legal risk if handled incorrectly. To streamline your hiring process and ensure compliance with employment laws along the way, check out two companion apps from HRdirect: the Job Application Smart App, featuring federal- and state-compliant applications, and the Applicant Tracking Smart App that records applicant progress at each step, from interviews and testing to offers and onboarding.